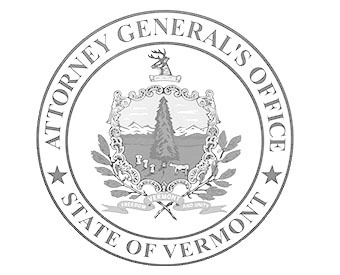 Attorney General T.J. Donovan yesterday joined a multistate coalition to file an amicus brief in support of a lawsuit brought by the ACLU to protect asylum seekers. The suit challenges the federal government’s efforts to prevent people who have not entered the country at a designated “port of entry” from applying for asylum in the United States. Over 6,000 Central American immigrants, including over 1,000 children, are currently stranded outside California ports of entry waiting for an opportunity to present their asylum claims to federal immigration officials. The suit was filed in the U.S. District Court for the Northern District of California. In the brief, the Attorneys General urge the Court to grant a preliminary injunction suspending the federal government’s Final Interim Rule because it creates inhumane conditions at our borders, causes significant harm to the States, and violates the Administrative Procedure Act. This rule is contrary to long-standing federal statutes, as Congress has recognized the importance of allowing individuals to apply for asylum regardless of how they arrived in the U.S. The Final Interim Rule forbids people who enter the United States between ports of entry from applying for asylum. The States’ brief argues that this Rule makes it difficult or impossible for asylum-seekers to present their claims. This blanket policy of denial of asylum claims violates the law and creates inhumane conditions at the border, forcing families to live outside in extreme weather conditions without access to basic health services, education, and other life essentials. The coalition also argues that states will be harmed by the effects of this illegal rule. States invest their own resources to provide education, healthcare, and other services to immigrants residing within their borders, including asylum-seekers once they are in the country. States, counties, and local governments will incur the cost of providing services to asylum-seekers who suffer unnecessary trauma as a result of the Rule. Finally, the States argue that the Rule is arbitrary and capricious and was implemented without complying with notice and comment requirements in violation of the Administrative Procedure Act. Attorney General Donovan joins the coalition led by California Attorney General Becerra, and including Attorneys General of Connecticut, Hawaii, Illinois, Maryland, Massachusetts, Minnesota, New Jersey, New York, Oregon, Washington and the District of Columbia. A copy of the amicus brief can be found here.